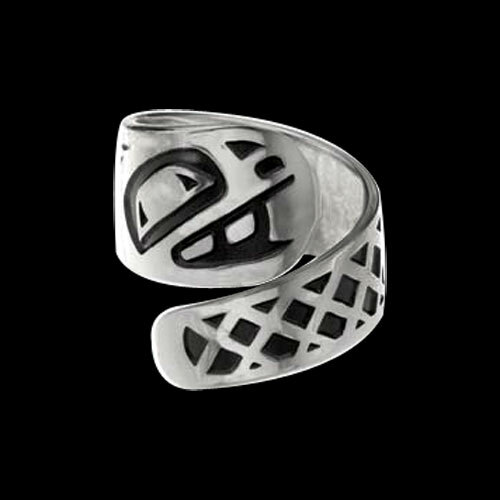 Sterling Silver Beaver Large Ring by Metal Arts Group. The Beaver is considered an old and wise creature. Because of his great understanding of nature, legend states he showed the native people how to cut down trees and build houses. With a great work ethic and strong will, the Beaver retains his family values never disregarding his foundation. 3 x 0.5 inch Sterling Silver Beaver Large Ring by Danny Dennis. Made in USA.